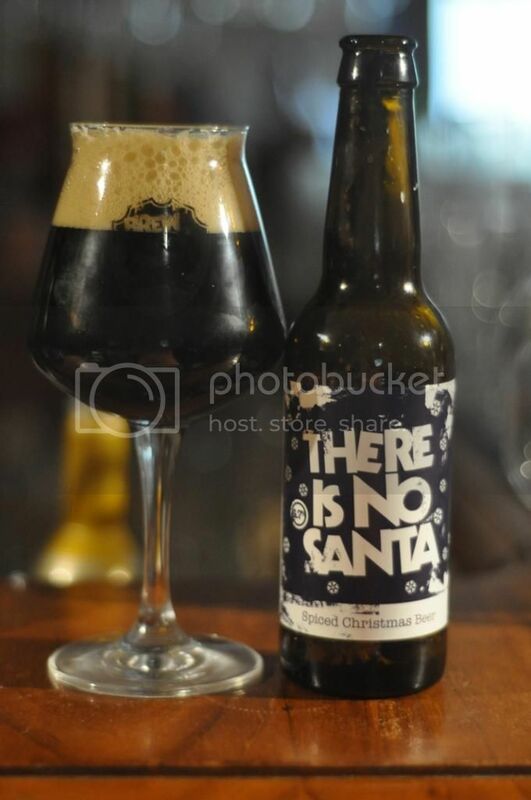 I am one of those people that likes to try a range of Christmas beers when they come each year. After my bad experience with last years Christmas beer, Ridgeway's Seriously Bad Elf, I've decided this year to return to breweries I'm more familiar with. I've also given myself more options to find one that will be good, so you guys can hopefully find one for Christmas Day. 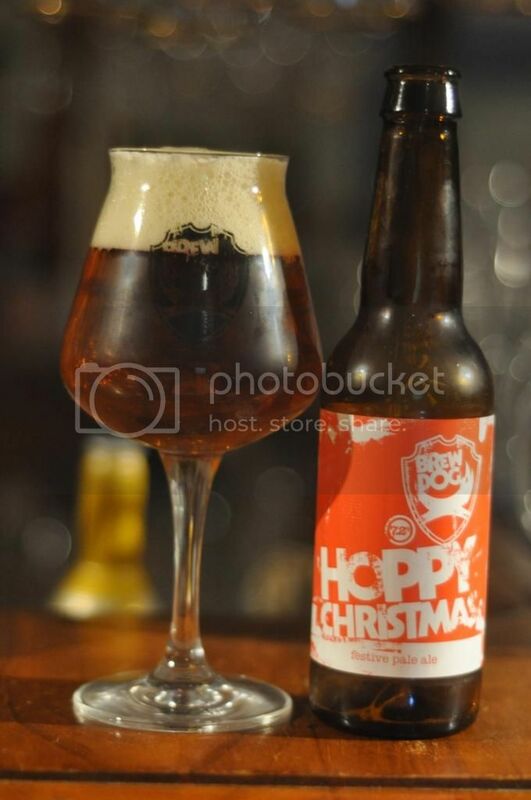 BrewDog Hoppy Christmas - Every year our family does a pre-Christmas Day party for the little kids. Basically the extended family kids all see their cousins and the rest of us get very drunk! I kicked off the day with BrewDog's Hoppy Christmas, which poured a deep golden/almost amber colour with a good sized head. The aroma definitely lived up to the name with dank hops the standout. Grapefruit is the aroma that I get the most, although is changes throughout drinking with peach also quite prominent. The flavour was great with citrus (mostly grapefruit) and tropical fruits to the fore, the malt backbone is there but only for mouthfeel and doesn't do a heap to the flavour. BrewDog There is No Santa - I've struggled to find much info on this one but I believe (although could be wrong) it was last brewed for Christmas 2010. That being said I found it at Vintage Cellars in October this year! With some trepidation I poured it into the glass and saw that it was almost black in colour with a light tan head on top which had good retention. Positive start! BrewDog Santa Paws - After a quick couple of (very unfestive) Resin's in the park, I was back on the Christmas beer and BrewDog bandwagon. 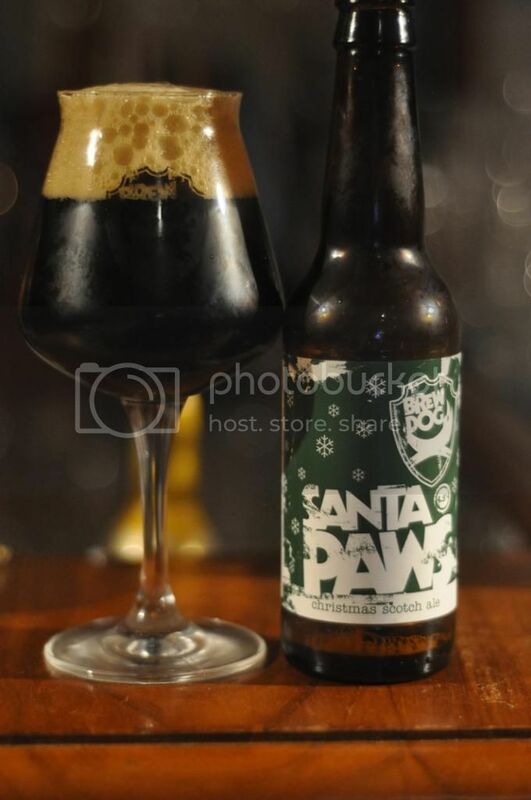 Santa Paws is the second of this year's Christmas releases from BrewDog and is a Scotch Ale, a style that to me lends itself more to being a Christmas beer. Anyway, the pour is also very dark with a khaki head with plenty of large bubbles. The nose was a bit of a let down, with not much in the way of spices and only a light malt base. I thought it was a little nothing and needed something more. The taste was a bit the same - it was nice and quite drinkable as far as Scotch Ales go, but it was lacking in a lot of things that could have made it a more interesting beer. 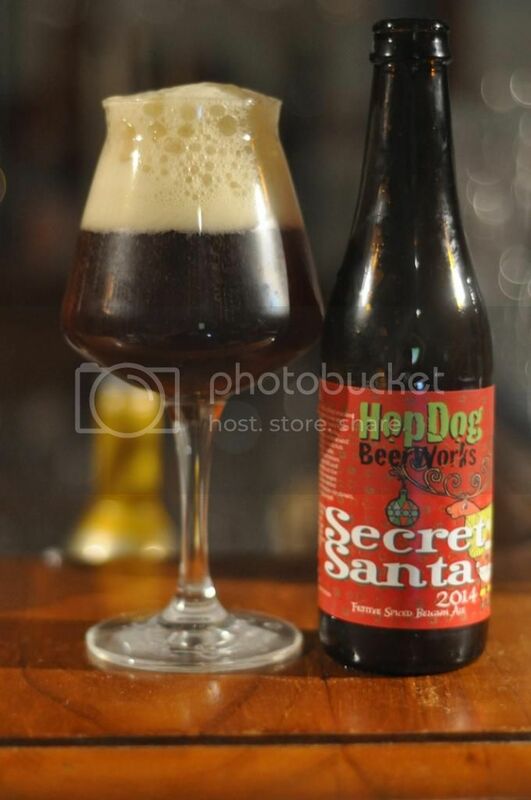 HopDog BeerWorks Secret Santa - We moved on from that slight disappointment to something I knew wouldn't let me down; HopDog BeerWorks and their Secret Santa. It's apparently a "Festive Spiced Belgian Ale" - so I'm expecting nutmeg and cinnamon. The pour is a deep reddish/brown ale with a big white head. Nutmeg and Cinnamon were both present on the nose, however the real star was the dark fruits and their combination with the Belgian yeast. This trend continued onto the taste with dark fruit, particularly sultana's and I think fig, as well as spicy yeasts. There's good alcohol and the spices really make it feel like it would make a fantastic winter beer. 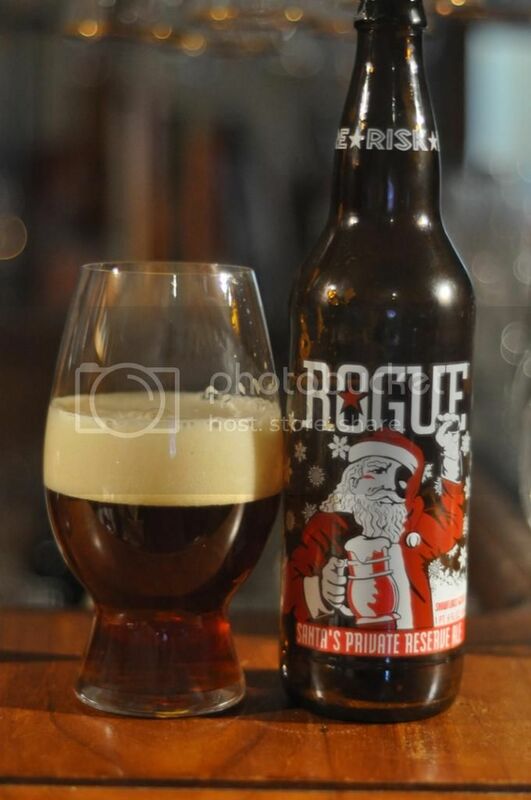 Rogue Santa's Private Reserve Ale - I actually wasn't going to include this one, but then Coll brought a few over to watch the soccer the same night I'd sampled the other beers. This beer (as expected) poured a very red colour with a nice cream coloured head of quite thick foam. The nose was relatively muted with only some caramel malts really coming through. As you all should know I'm not a huge fan of Amber Ales on the whole, but this one is excellent! It's got quite a light mouthfeel and doesn't have too much malt. The flavour is relatively light as well with caramel the most prominent flavour before a nice bitter pine finish comes through. 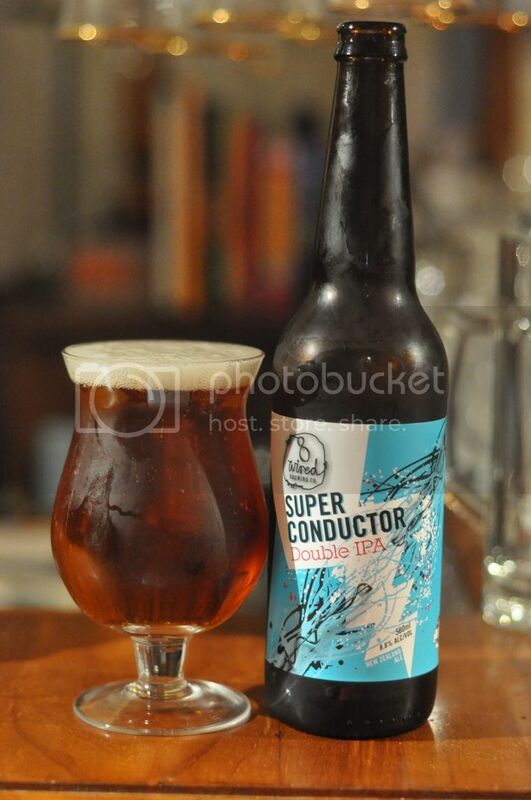 It's a lovely beer and you can easily knock a bomber off by yourself. There you are guys. Hopefully this quick little wrap up can help you pick a Christmas themed beer. Other Christmas beers I'd highly recommend are the Red Hill Christmas Ale, it's good every year so I can't see why this year would be any different, and the Delirium Noel. It may be a little harder to find but if you're into Belgian styles it would be one to keep an eye out for! If I don't get anything else done before Christmas guys, have a great one and I'll be back soon!